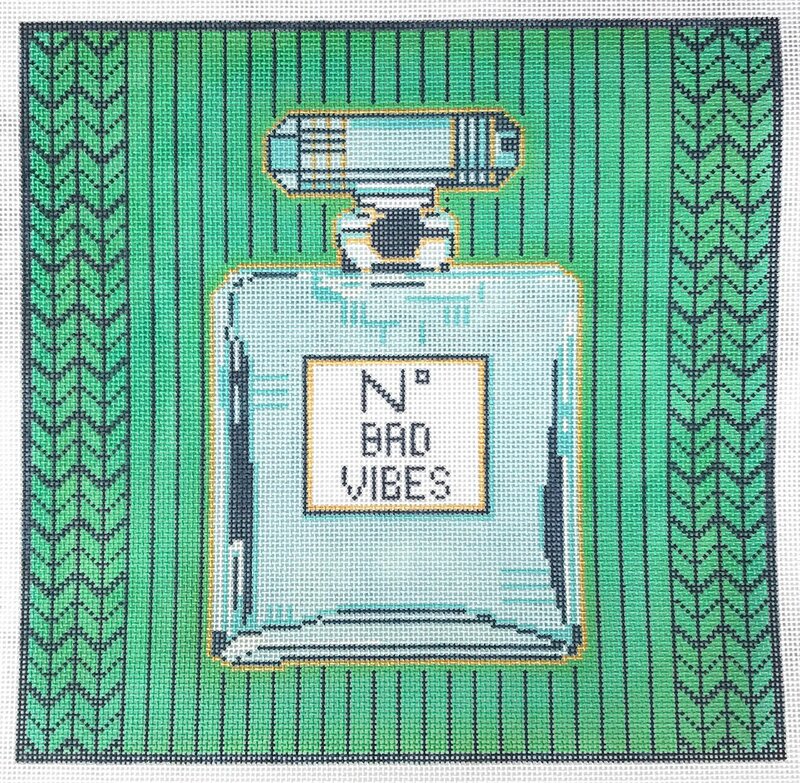 No Bad Vibes perfume bottle needlepoint canvas from the design house of Thorn Alexander featuring a Chanel-shaped bottle on a lovely kelly green abstract background. The design area measures 12" x 12" and is hand-painted onto 13 mesh mono canvas. Each stitch is painted a specific color to make this the perfect choice of an easy needlepoint for a beginner. We try to keep Thorn-Alexander canvases in stock. But because of the high demand for her canvases, sometimes we run out. So check with us if you want to be sure it is in stock if you're in a hurry.